Times are changing. Constant reinvention of a product or brand to remain the focal point of a market The Buick sedan used to be seen as the vehicle for your grandparents. In this current market, Buick has been focused on innovation and redesign to create a luxury sedan that caters to the younger generation. 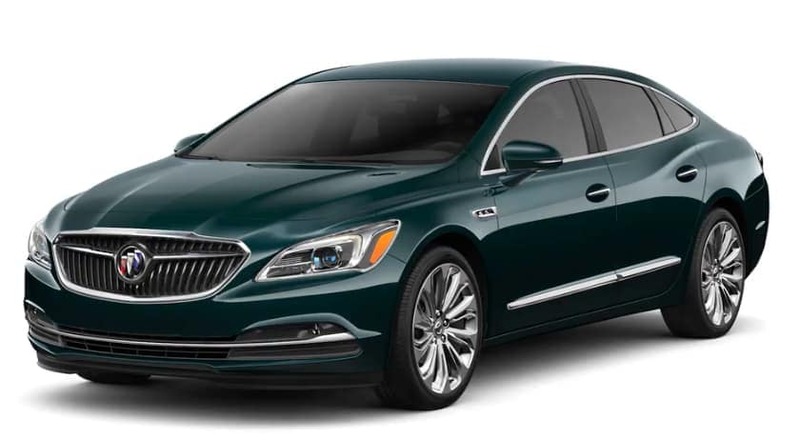 The 2019 Buick LaCrosse is a full-size luxury sedan that features a refined interior along with a sportier ride that is attracting younger buyers. The LaCrosse will command attention in all of your travels. It has a sleek design with a sculpted body that is the ideal modern car with high-performance value and innovative integrated technology. The LaCrosse has a starting price of $29,570 and was designed to seat up to five passengers. With up to six trim levels to choose from, you will find the right 2019 Buick LaCrosse that is ideal for your current driving and lifestyle needs. The LaCrosse is the only full-size sedan that remains in the Buick lineup. However, you get so much value with the LaCrosse from a luxury look, roomy interior, cutting-edge technology, and great cargo space. We all like options, right? Well, you have so many possibilities with the Buick LaCrosse. There are six trim levels you can choose from, ensuring you’ll get exactly what you are looking for. This full-size luxury sedan looks sleek both inside and out. You will benefit from up to 15 cubic feet of cargo capacity. You and your passengers will love the roomy interior with seating for up to five people. There are some great exterior colors that you can choose from for the LaCrosse. Some of those colors include Black Onyx, Red Quartz Tintcoat, Carageen Metallic, Pepperdust Metallic, Satin Steel Metallic, Pewter Metallic, and Ebony Twilight Metallic. Let’s get down to what matters. Discussing all the available features in the various trim levels. LaCrosse – Who doesn’t love climate control in their vehicle? This trim level comes with dual-zone automatic climate control to keep you and your front passenger comfortable. You’ll love the 8-way powered leatherette front seats. There are 18-inch alloy wheels and high-quality HID headlights. You and your passengers can stay connected with the 4G LTE mobile hotspot and the cutting-edge 8-inch touchscreen Buick Infotainment system. It is integrated with Android Auto and Apple CarPlay. LaCrosse Preferred – With the Preferred trim level, you will also benefit from a cargo net, and telescoping and power tilt steering wheel. LaCrosse Essence – If you like heated seats, then the Essence trim level is perfect for you since the front leather seats are heated. The driver side seat features memory seating which adds to your convenience level. Articulating headlights are included as well as an auto-dimming rearview mirror. LaCrosse Premium – The luxury continues in this trim level with the heated steering wheel, so you won’t have to wear gloves inside while driving in the colder weather. This package includes other features like rear cross traffic alert, heads-up display, and front seats with heating, ventilation, and a massage function. LaCrosse Sport Touring – You may want a sedan with a sportier look, then the Sport Touring trim level is perfect for you. The sport features include a rear spoiler, body-color fender vents, a black mesh grille, and 19-inch black aluminum wheels. LaCrosse Avenir – The ultimate in luxury is reserved for the Avenir trim level that features a panoramic moonroof, satellite navigation, a black mesh grille, and wireless smartphone charging. There are so many choices you are sure to find the right Buick LaCrosse trim level that is perfect for you. There are two powertrain options offered with the Buick LaCrosse for the driver who demands high-quality driving performance in a sleek luxury sedan. You’ll benefit from refined handling and superior power with either of the two advanced engines that are offered with the LaCrosse. If you opt for the 3.6L V6 engine, it delivers 310 horsepower and an estimated 20 MPG in the city and 30 MPG on the highway. This engine features Active Fuel management that works with an automatic 9-speed transmission for a smooth and powerful ride whether you are traveling in the city or on the highway. If you want maximized traction, then the available intelligent all-wheel drive featuring active twin clutch that is offered with this engine is perfect for your driving needs. You’ll benefit from excellent traction in slippery roadway conditions as power is sent to the wheels for a maximized grip. When you’re driving on dry roads, you’ll still benefit from augmented acceleration and cornering. The 2.5L engine that features cutting-edge eAssist light electrification technology is more efficient and gets an estimated 25 MPG when driving in the city and 35 MPG on the highway. Even though this engine is more efficient, you are still going to benefit from quality power that you expect in a full-size sedan. Both options help you enjoy superior performance in all your travels. Enhance the drive with the available Dynamic Drive Package which optimizes performance with 20-inch aluminum wheels. Additionally, this package offers continuously variable real-time damping and a sport mode selectivity. You’ll benefit from a smoother quieter ride and agile handling with the innovative five-link rear suspension. We live in a modern age where everyone wants to stay connected minute by minute. You can do that in the cutting-edge Buick LaCrosse. With the available integrated 4G LTE WiFi hotspot that is compatible with both Apple CarPlay and Android Auto, you and your passengers can stay connected all the time. Your life on the go has never been more convenient. You’ll love the Buick Infotainment system featuring a high-quality 8-inch diagonal high-resolution color touchscreen. Make traveling more fun as you enjoy listening to your favorite playlist and making hands-free phone calls for maximized safety. With the integrated Navigation system, you can easily find your way with real-time maps that deliver accurate driving directions. Getting to your destination will be a breeze and truly enjoyable. No one is left out. Whether you have an Android or Apple phone, you can connect to the infotainment system in this LaCrosse. With the compatible Apple CarPlay and Android Auto apps, your phone can be easily integrated into the system. Easily access your favorite music from your phone, send and receive text messages, and make calls. You can either use the touchscreen or use voice commands. Staying connected to our devices is an important aspect of our lives. However, that’s not safe while driving. Yet, with the touchscreen and voice commands, you can make hands-free calls and listen to music all while keeping both hands on the wheel and your eyes on the road. You can drive with confidence in the 2019 Buick Lacrosse which has received a 5-star safety rating (5 out of 5 stars) from the National Highway Traffic Safety Administration (NHTSA). The Insurance Institute for Highway Safety (IIHS) gave the LaCrosse a “superior” rating for front crash prevention, which is the highest rating they give out. The design of this full-size sedan focuses on driver and passenger safety with a wide array of available safety technologies. Consider some of the following safety suites of safety features that are available. Safety Alert Seat – You have the option to get haptic seat-bottom pulse vibrations rather than audible alerts to help you stay aware of your surroundings and avoid collisions. Lane Change Alert – You can avoid hitting a moving vehicle in your blind side with the available lane change with side blind side zone alert safety feature. Rear Cross Traffic Alert – When you back out of your driveway or from a parking spot, you can avoid hitting moving vehicles approaching from the left or right with the rear cross traffic alert. OnStar Safety and Security – Drive confidently when you take advantage of the available automatic crash response and roadside emergency assistance services through OnStar. Lane Keep Assist – You can avoid unintentionally drifting out of your lane and getting into a collision, when you are not actively steering, with the Lane Keep Assist that features lane departure warning. This safety feature provides slight steering wheel turns. Having the peace of mind, knowing that you and your passengers are safe when traveling in the 2019 Buick LaCrosse is so important. Review the available suite of safety features to ascertain which ones or all of them are right for you and your passengers to ensure augmented safety. Stop by Carl Black Orlando Dealership Today! Command the roadway in style by driving a new 2019 Buick LaCrosse. Stop by the Carl Black Orlando dealership today to test drive the distinctive new LaCrosse. This full-size luxury sedan is available for a starting MSRP of $29,570. This dealership focuses on their customers as a top priority. They provide high-quality car repair by professionally trained technicians that use GM parts. You’ll benefit from excellent vehicle maintenance and service specials to help you properly maintain your Buick LaCrosse. 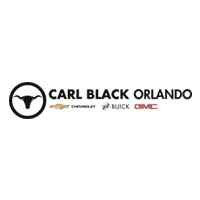 With regular vehicle maintenance at the Carl Black Orlando dealership, your vehicle will deliver excellent performance value for the long haul.